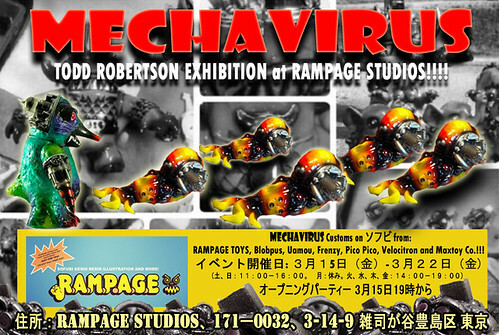 But, seriously, I'm very excited to announce the second art and toy event here at RAMPAGE STUDIOS in Tokyo - MECHAVIRUS! 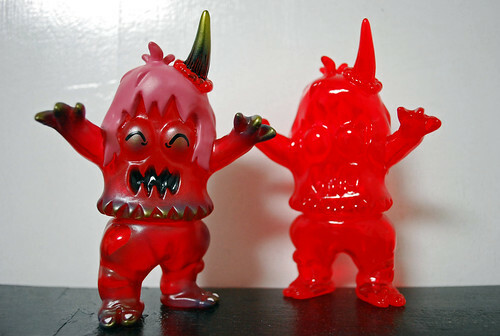 -Mechavirus customs on sofubi from the following makers: RAMPAGE TOYS, Uamou, Blobpus, Frenzy, Pico Pico, Maxtoy Co.
-RAMPAGE painted Amonite Micro Run! - Party and sales start at 7PM. -Open from 3/16-3/22 (the following Friday). Hours: Sat/Sun.-11am-4pm; Closed Monday; Tues.-Fri.-2pm-7pm. If you are in the Tokyo area, come check it out! THIS WEEK - Super fun release! 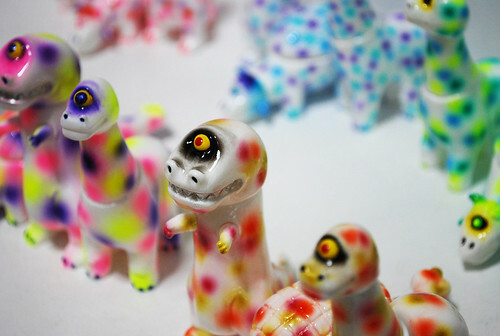 Mr D-LUX, renowned for his prolific airbrush handpaint customs, hast sent over a lovely batch of Cyclops Dinos! 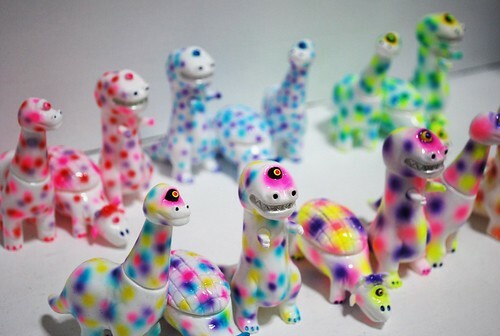 These are all painted in different color combo DOTS! Each set is one-of-a-kind, and each one is pretty AWESOME! 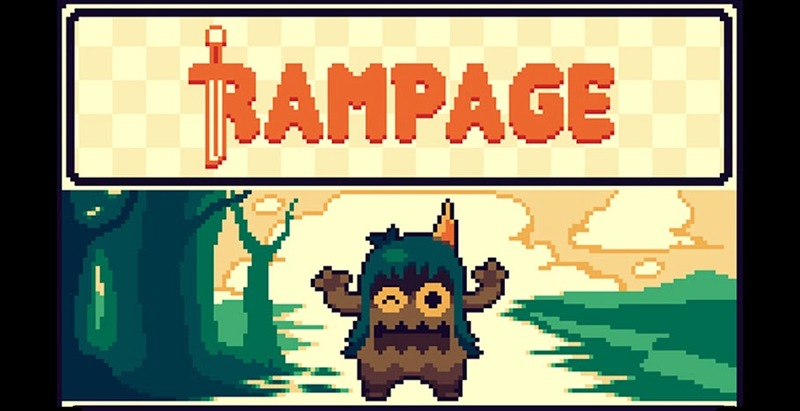 You can grab the set of your choice at RAMPAGE STUDIOS or on-line at the RAMPAGE SHOP, on Thursday at 10AM Japan time (Actually, RAMPAGE STUDIOS opens at 2PM). That's 8PM EST on Wednesday for those of you in the states - and some other time if you are somewhere else!